Find a much bigger selection of our Knives at these places! I just recieved an email from Calvin, asking for an image of the Denali. So here you go Calvin! This is a picture of the Denali Prototype! Here is a picture of the Whole fam damly! I hope this helps!~ Have a great DAY! 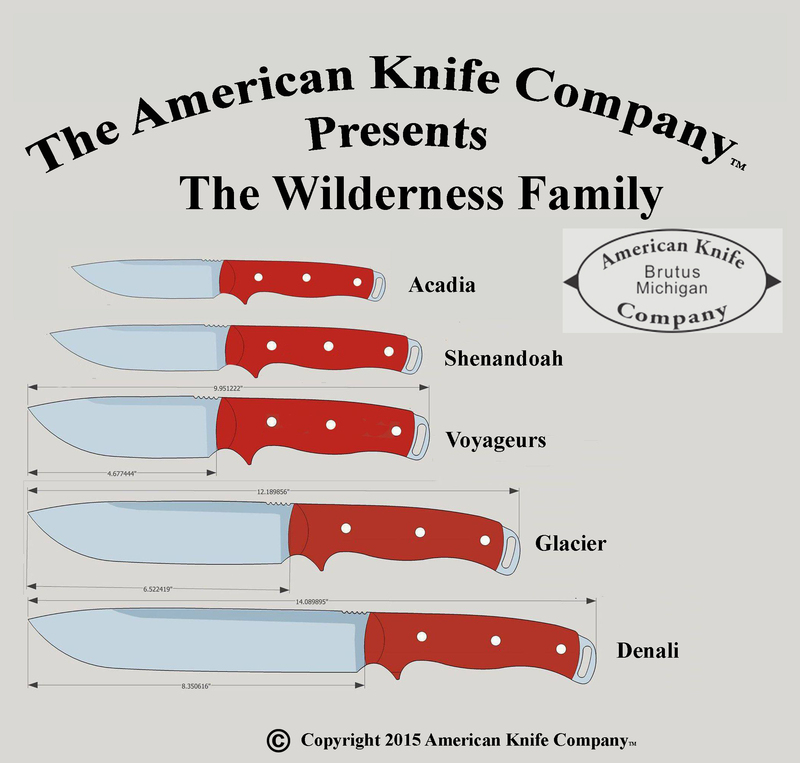 We at American Knife Company, have decided to give 10% of our sales off this website to a Charitable veterans organization. We are trying to decide which one. The New Forest knife is our vision of the perfect belt knife described by Mors Kochanski in his comprehensive and definitive book ” Bushcraft”. 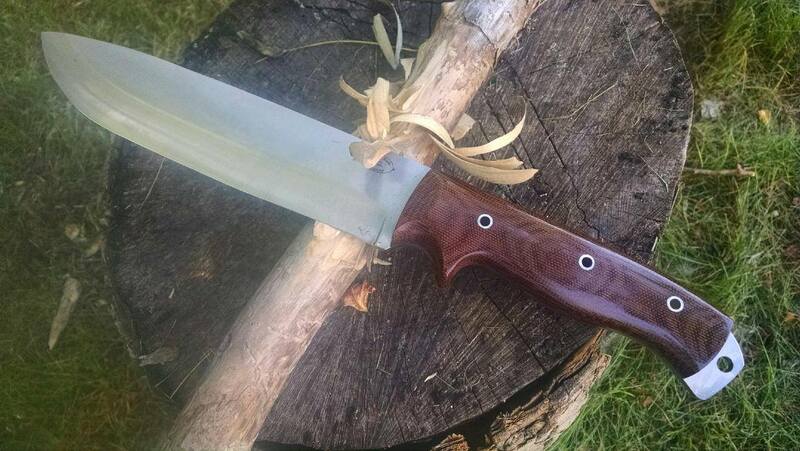 Our Bushcraft knife has all the features he described with bullet-proof construction. the Blade is A-2 tool steel Triple Tempered with the tang drawn softer for extra toughness. We have hand blended Corby Bolts on the Handle Scales and the Stainless Steel Pommel. The Hand Ground Convex Scandi Style Grind gives maximum edge holding and makes working wood an easy task. The sheath is very unique – It is an ambidextrous, set up for multi-directional belt carry – and hollow rivets that allow you to lash it to your gear. The sheath also has an integral fire steel loop. It also incorporates 2 rare earth magnets to retain the knife – even inverted. No matter how rough the terrain – the sheath will retain the knife. The permanently recessed magnets can be used to create a make shift compass or used to recover small metal items outside your reach. 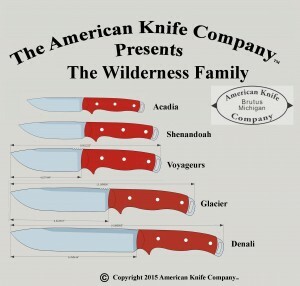 The new American Knife Company “Forest” will quickly become your favorite Bushcraft and Outdoor Knife.